Ben, Nanzaro and I went out for dinner on a Saturday night. This time, Arkensen stayed home as he wanted to finished his homework. We went to Firebird Cafe in Continental Plaza. It was relatively new when we visited in March. The restaurant was full but we only had to wait for a few minutes for a table. 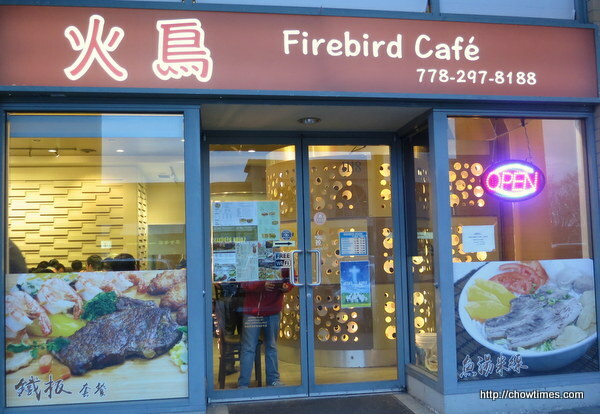 Freebird Cafe is a Hong Kong style restaurant with customizable Fish Soup Noodles, Steamed Rice and Sizzling Grill. You can click on the menu above to have a larger view. After the early dim sum, we went home to drop off Arkensen before we went out for our walk. It was a beautiful time of the year. 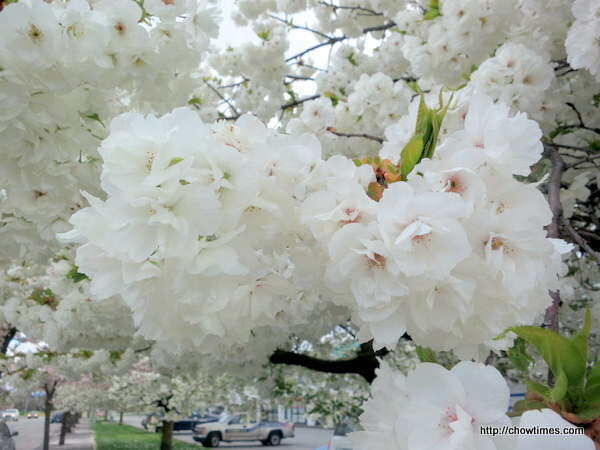 The cherry blossoms never fail to amaze me. 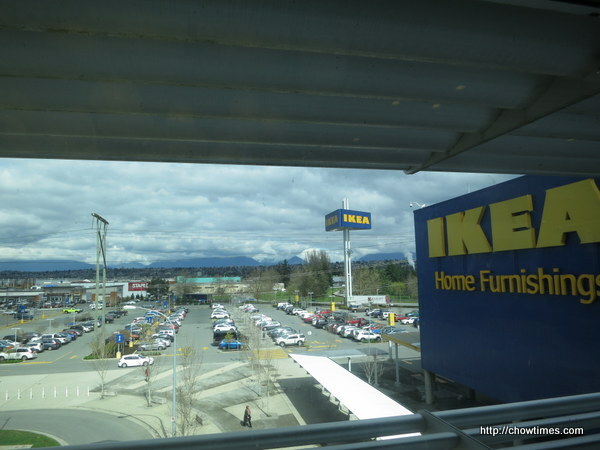 We walked from Costco to Ikea. It was a cloudy morning and the walk was very pleasant. 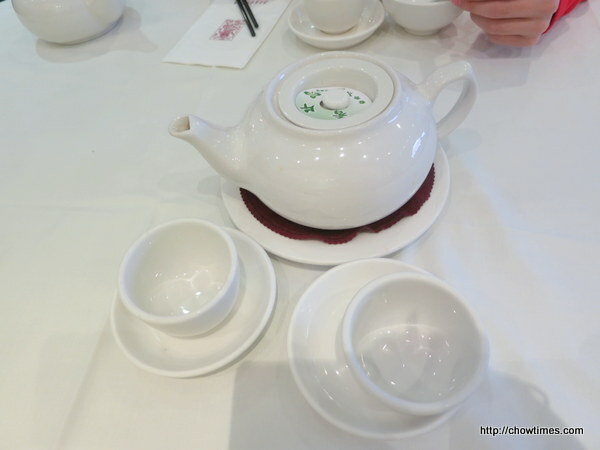 My family went for an early dim sum breakfast on Good Friday. 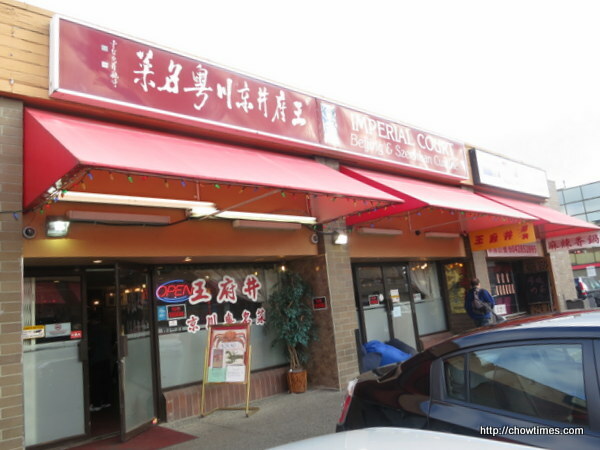 After searching for a while, the only restaurant that opens as early as 8:30am is Imperial Court Beijing Cuisine at Brighouse Square. 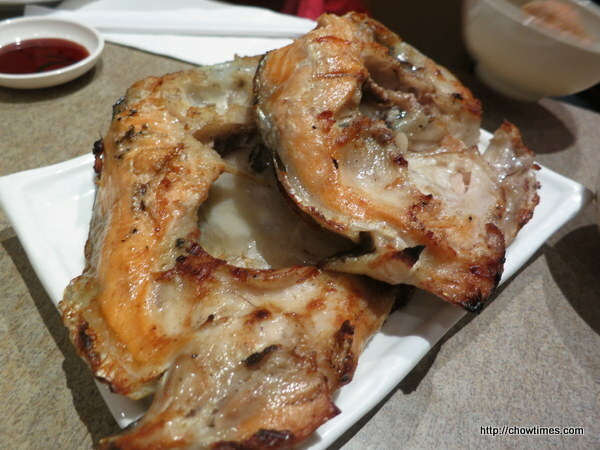 Most of the dim sum restaurants in Richmond open after 9:00am. Tea charge is $1.25 per person. 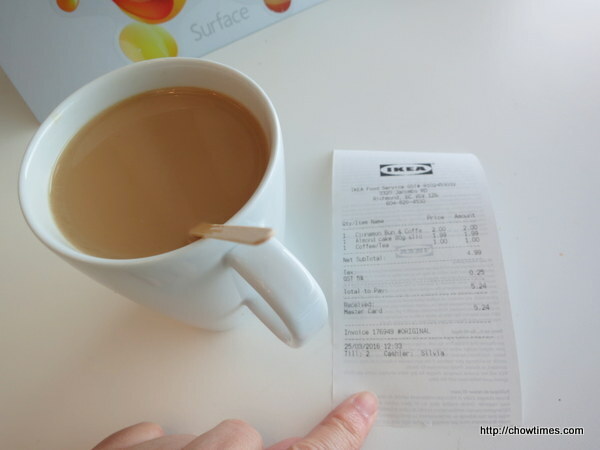 Even though there is people in the party who do not drink tea (like Arkensen), we still have to pay for tea charge for 3 people. 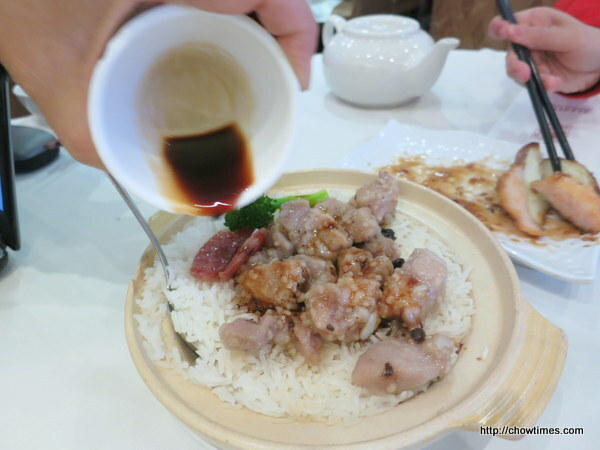 I went to the Pacific Plaza food court with a friend for lunch. 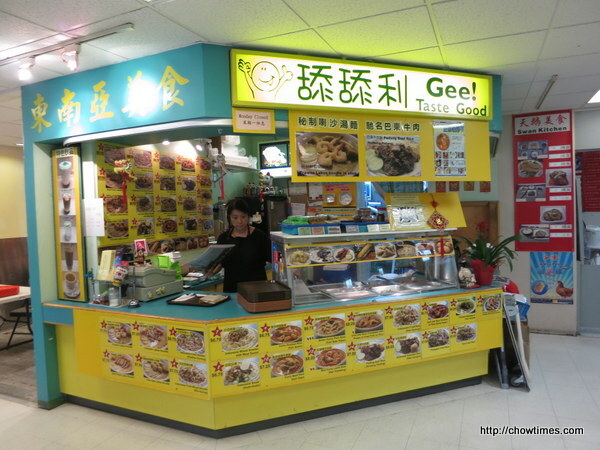 I was craving for some ‘kueh’ (Malay dessert) and Gee! Taste Good is just the place for it. The layer cake (kueh lapis) is $1 per piece. I know how tedious the recipe is and it’s not feasible for me to make a whole tray as the rest of my family does not like dessert that much. So, $1 per piece is just right for me. TV commercials do influence us. 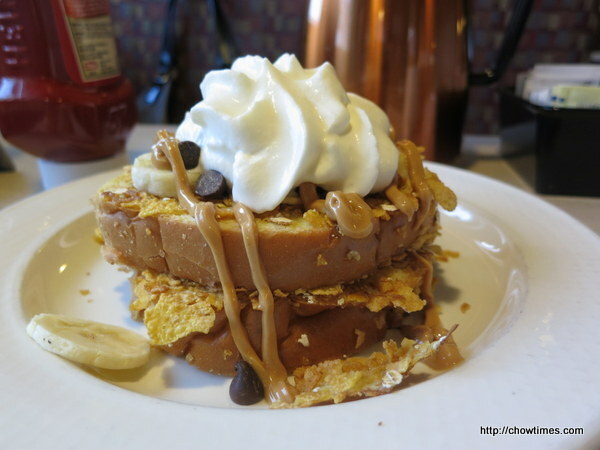 I was captivated by IHOP’s commercial on their new Banana Peanut Butter Double Dipped French Toast and Ben decided to bring me to IHOP on a Saturday morning back in March. 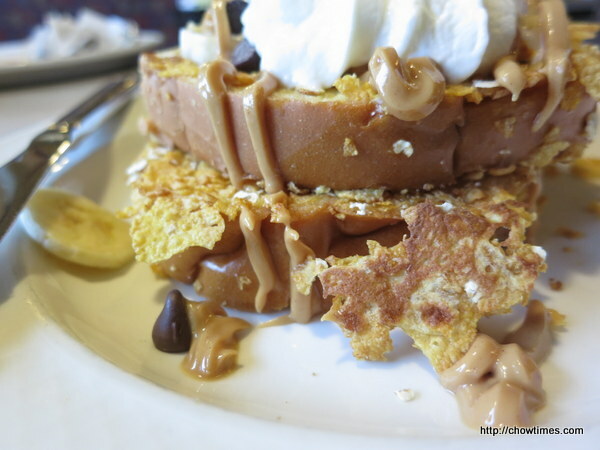 Apparently, the Banana Peanut Butter Double Dipped French Toast is on a separate menu. The server only brought us the menu when I asked for it. I thought it’s an item by itself but it actually come in a meal combo. So, Ben picked the above combo for me as he promised to help me with it. 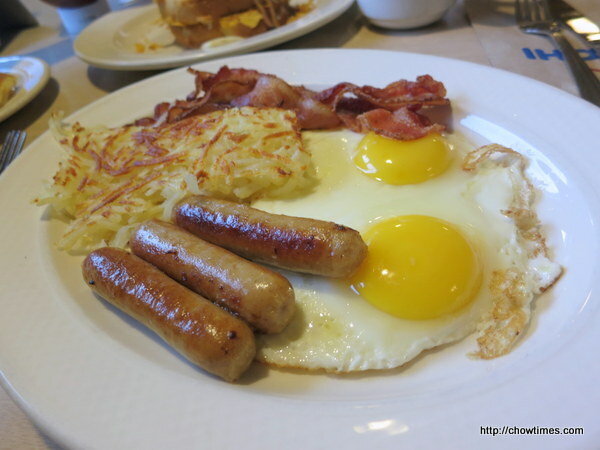 He asked for sunny side up which is his favourite way of eating eggs. This was a birthday lunch for the birthday boy in March. Initially, he wanted AYCE from Ninkazu but we could not find a parking spot. 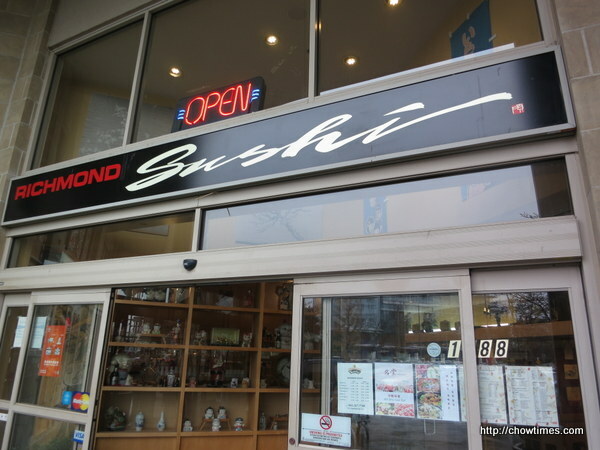 So, we went with our plan B, Richmond Sushi. 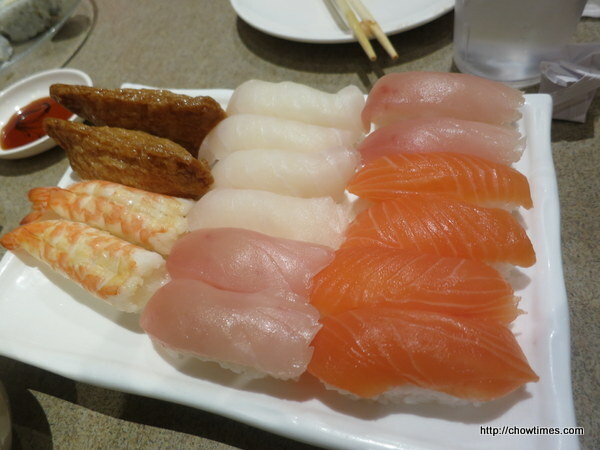 When I looked back at the archive of chowtimes.com, Richmond Sushi was one of the very early post. We have not come back as a family but Nanzaro had revisited it several times. 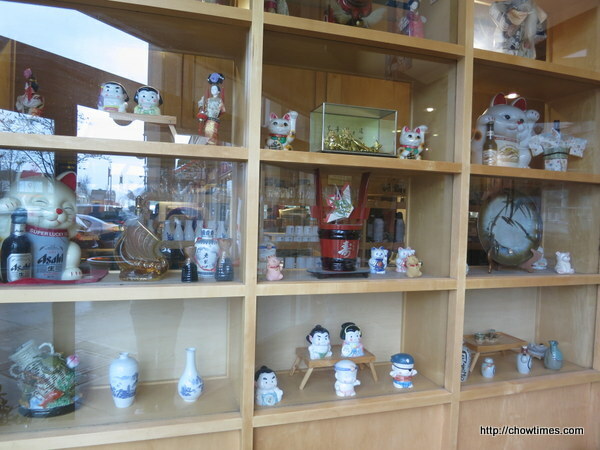 Some cute Japanese items at the display shelf at the entrance. We can see the chefs working on our way to our tables. 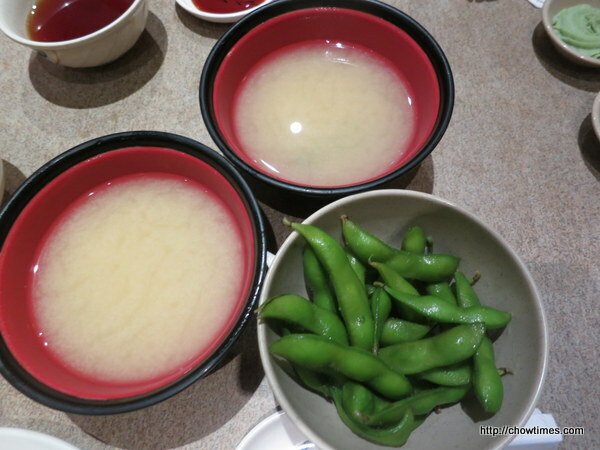 Miso soup and edamame to start off our meal. Ben and I went to the Union Square for lunch. 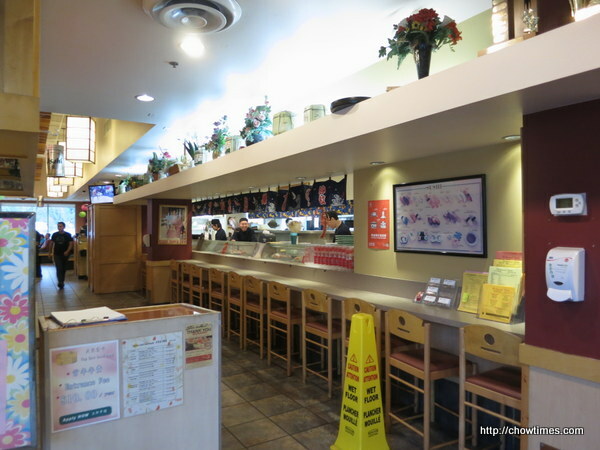 After exploring the area for a bit, we settled with Hanppy Tofu Pot House. 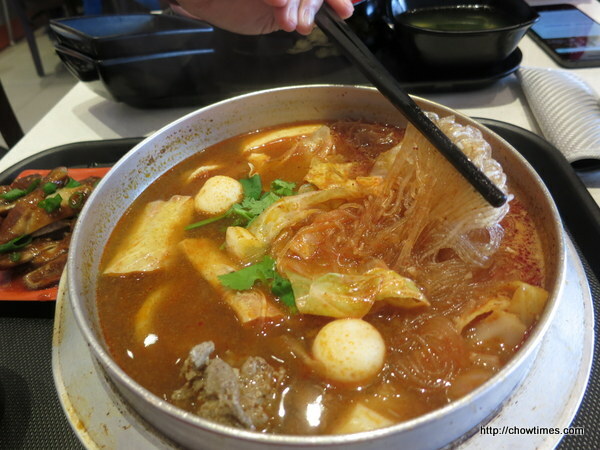 Hot pot sounds good on a cold and rainy day. 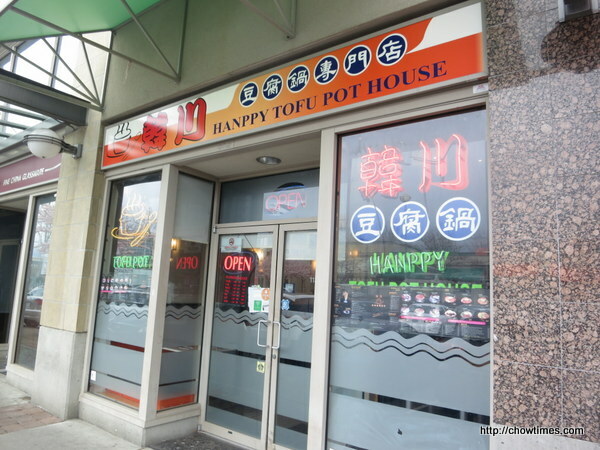 Hanppy Tofu Hot Pot House serves Korean and Asian cuisine. 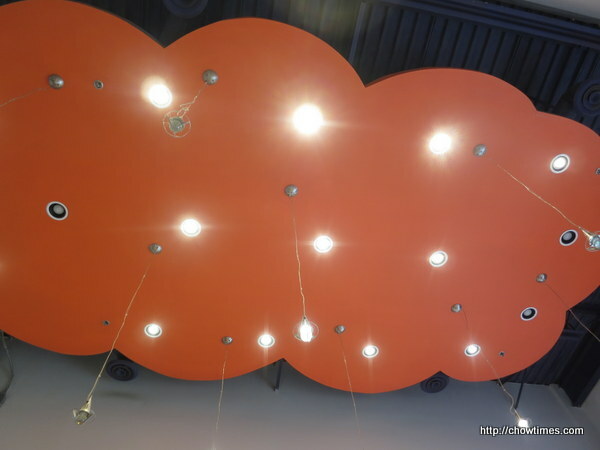 The high and brightly coloured ceiling looks inviting. 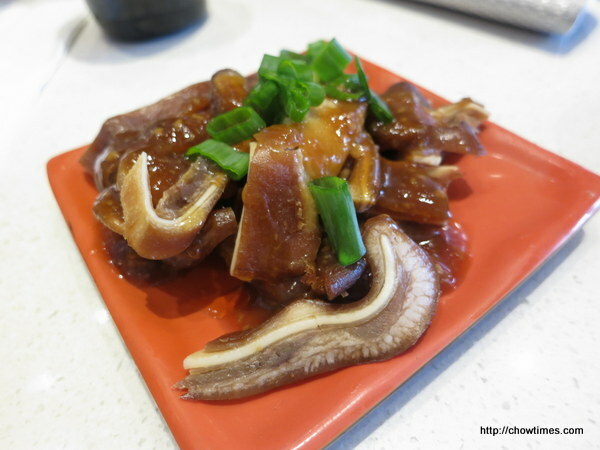 Ben ordered an appetizer of marinated pork ears. It’s all about the crunchy texture. Agnes demonstrated a second cake recipe after the snack break. 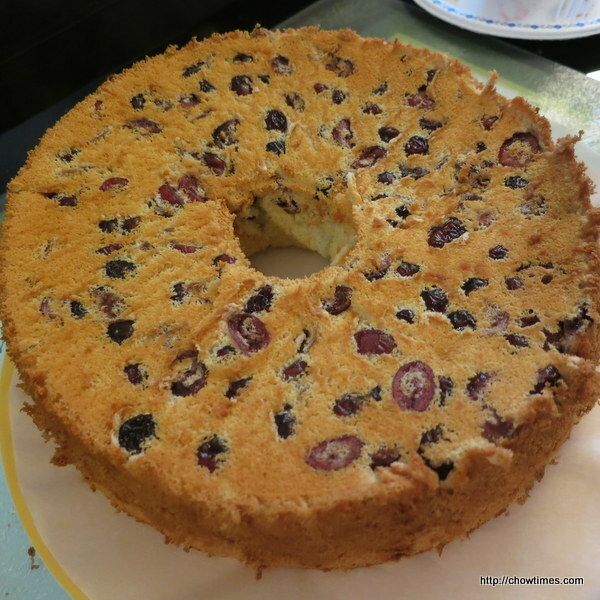 The second cake is a Cranberry Rum Cake. 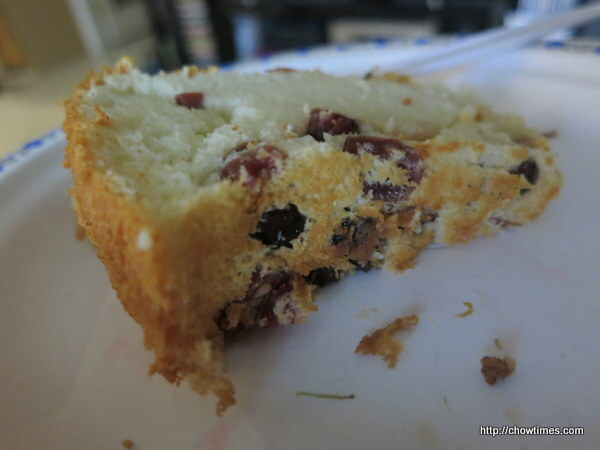 The Cranberry Rum Cake was also light and fluffy and the rum flavour was quite pronounced. 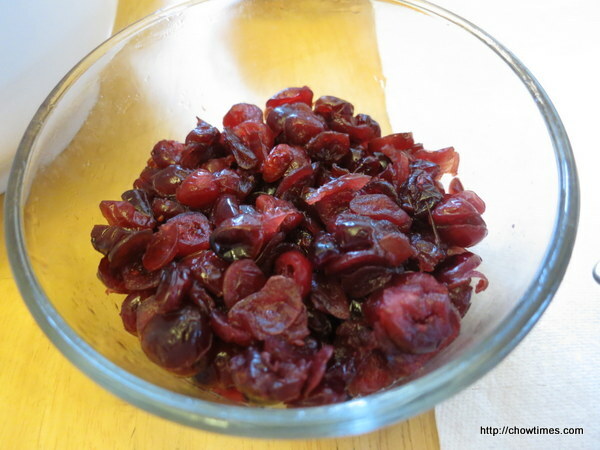 Agnes prepared the rum soaked cranberries ahead of time as it requires to be soaked overnight. 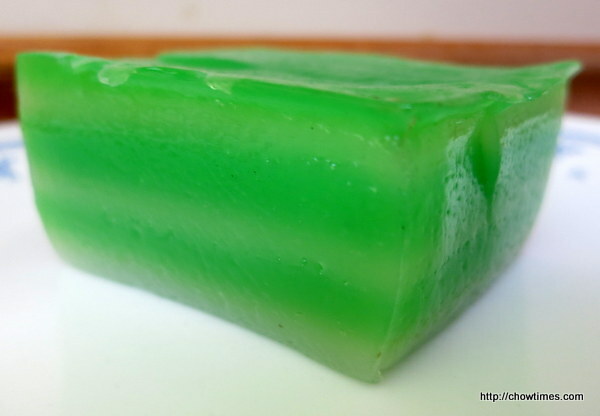 Agnes also prepared a jello for us to snack on while waiting for the Sesame Chiffon Cake to bake in the oven. 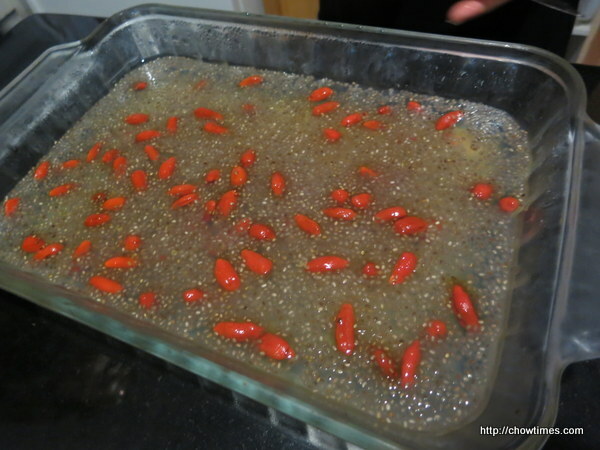 Soak chia seeds and Goji berries separately for 30 minutes. 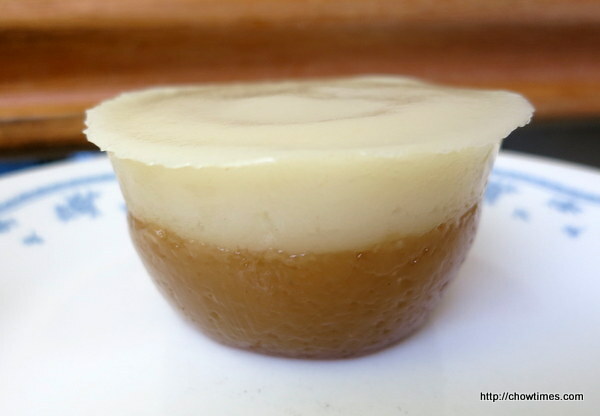 Combine water, Osmanthus syrup, jello powder and rock sugar in a sauce pan and cook on low until sugar melted. Add chia seeds and Goji berries and pour into a container and refrigerate for 2 hours.